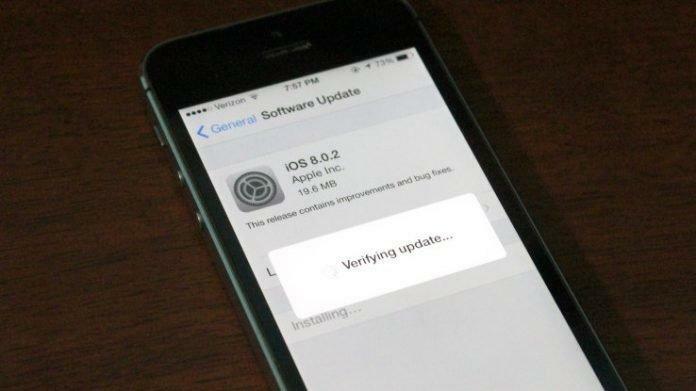 Apple released iOS 8.0.2 a new update for iOS 8 in order to fix all the issues and bugs present in earlier update iOS 8.0.1 and also in iOS 8.
iOS 8.0.2 is now available for users. it fixes an issue that affected iPhone 6 and iPhone 6 Plus users who downloaded iOS 8.0.1 and includes improvements and bug fixes originally in iOS 8.0.1. 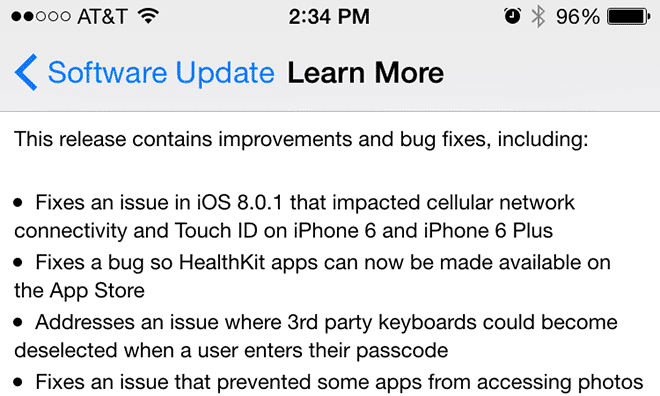 We apologize for inconveniencing the iPhone 6 and iPhone 6 Plus users who were impacted by the bug in iOS 8.0.1. This update is supposed to released after some days but Apple made it in one day and released yesterday to fix the bugs! Note : If the update in your Apple device showing iOS 8.0.1 ( in some cases it’s showing ) just go to Settings > General > Usage > Manage Storage and delete it and with this i hope you can see the iOS 8.0.2 update.